Stenopelmatus spp., or the Jerusalem cricket, is a cricket-like insect native to the United States, Mexico, and Central America. It's known by several names including Potato Bug, Child of the Earth, and Skull Insect. Many find it to be a frightful-looking creature and often worry that it is dangerous, however, these insects of the Stenopelmatus genus are generally benign creatures. Occasionally, they may pose a minor threat to root crops, but this is uncommon. Their size, ease of care, and overall demeanor tend to make them terrific pets. It's said that the name "Jerusalem cricket" comes from two slang terms in the 19th century. "Jerusalem" and "cricket" were both expletives. Who can argue that suddenly coming upon one of these insects wouldn't make the average person say a few bad words? If you live in the United States, it is very easy to acquire a specimen. Availability outside of the United States is mostly nonexistent currently. There are two ways to get these insects in the United States: by online purchase or field collecting. Online purchase is the easiest and fastest way to get these crickets. It is also the more expensive option. A popular website, BugsInCyberSpace sells individuals for $12-13, depending on the season. Shipping is not included in the price and averages $27-30. This particular website supplies healthy, active specimens, and is highly rated. The author has bought several species of insects, including Jerusalem crickets, from this website. Her oldest cricket is over a year old! The cheapest way to acquire a specimen is to field collect. 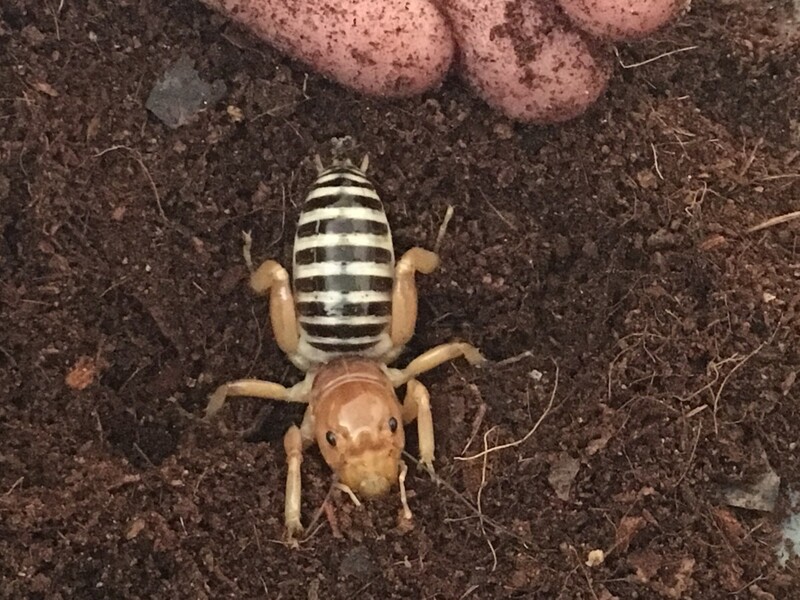 The natural range of the Jerusalem cricket includes the southwest, west, and Pacific coast of the United States, most parts of Mexico, and parts of Central America. They are typically found at night, early morning, and early evening. They spend a lot of time underground and usually come out when it is cool or moist. They can be found under rocks, logs, and leaf litter. They prefer damp places like manure heaps and leaf piles when above ground. Many times they are found on the sides of roads. It seems they do not like crossing the asphalt if it can be avoided. With determination and time, several specimens could be found. There are more than 100 species of Stenopelmatus. Only about a third have been described formally. 60-80 species live in California alone. There is a debate on if these species are in fact species or if they are just different varieties of the same species. While there are many species, they all have the same basic look. They are often mistaken for true crickets (Gryllidae) or ants. They are, however, of a different genus. All varieties have bulbous, round heads, large jaws, long slender antennae, and thick, spiny hind legs. They have humpbacked abdomens that are large and shiny. They don't have wings and most reach 1-2" in length. Larger species reach over 3" and weigh more up to 12 grams. That's heavier than some mice! They are typically yellow to brown but may range into the rust and red spectrums. Some may be black while others may be sandy pink. Usually, they have bands of black and yellow on their abdomens but not always. Red and black individuals tend to have no or few bands. Females and males look slightly different. Males tend to have larger heads and smaller abdomens while females have smaller heads and almost comically larger abdomens. Adult males have a pair of small hooks located between the cerci, which are a pair of short projections near the tip of the abdomen. Adult females have a short ovipositor, or egg-laying tube, located beneath the cerci. 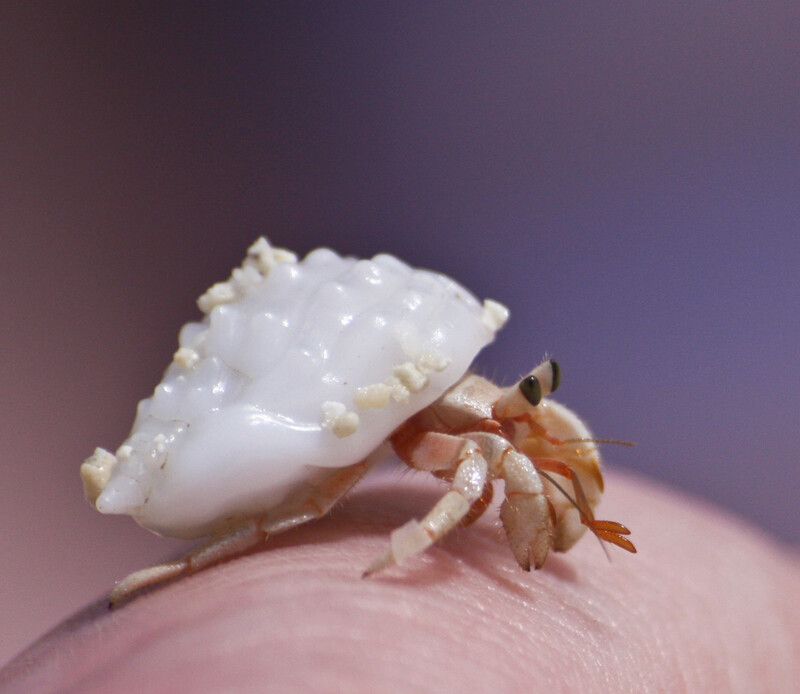 Nymphs, which are immature, often have not developed these distinguishing features but will with each successful molt. In their native habitats, these bugs are most often seen in the late evening, at night, and in the early morning. They prefer staying underground or in dark and moist cool places. They will use their heads and jaws to shovel into the soil and push dirt behind them. When threatened, they may do one of several things. They run for cover most often. They may assume a defensive posture similar to a tarantula. If caught they may emit a foul odor, kick out with their spiny back legs, or bite. Their bite is not venomous or poisonous. However, due to the size and strength of their mandibles, the bite is painful. Often when these crickets bite, they hold onto their attacker. A human may be left with a small bleeding cut. These insects typically bite only when repeatedly pestered or gripped. These crickets do not chirp like true crickets. Instead, they have two main forms of communication. They can produce a scratching noise by rubbing their rear legs against their abdomen. It often sounds like hissing. During mating season, both males and receptive females will drum their abdomens against the ground to produce a tapping sound. This sound can be heard by other crickets up to 60 feet away using special subgenual organs located near the bottom of each leg. The tapping isn't audible to humans in most cases. Most of these crickets cannot jump as they are too heavy. Lighter individuals are better able to do so. They will often drag their large abdomens on the ground as they walk, leaving a grooved trail behind them. They are very willing to defend themselves if given no other choice. They are capable of taking down creatures several times their size. They are cannibalistic and are not usually found in groups for significant amounts of time. Whether captive or in the wild, these insects seek out a varied diet. 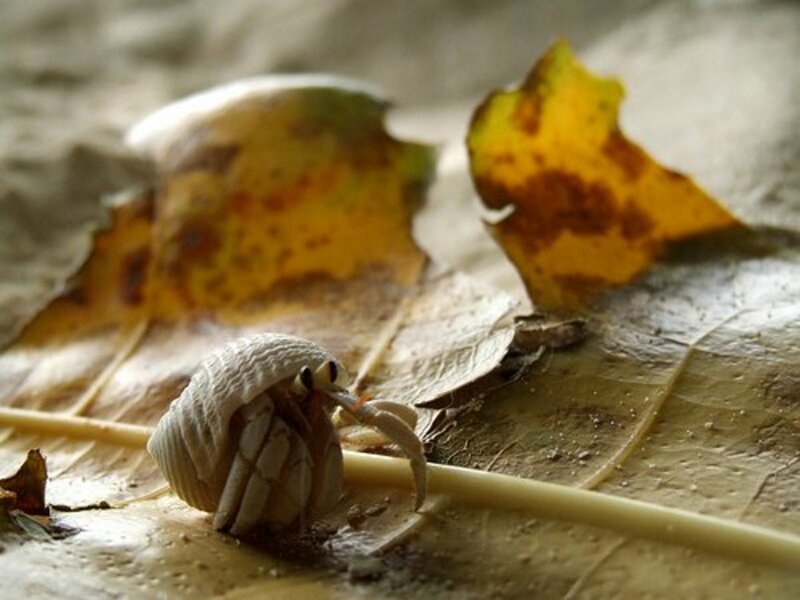 Despite being called potato bugs, potatoes are very rarely part of their diet. Instead, they are both scavengers and hunters. They will eat other insects and have been found eating carrion. They eat tubers, plant roots, and decaying plant matter. They will, if they happen upon it, eat many things found in garbage cans. They seem to enjoy sweeter items as well. Though they are often found in crop fields, they are not usually after the crops themselves but the roots. In captivity, they will take almost anything. Many people feed potatoes, apples, and carrots. Fruits, oats, prepared cricket food, fish food, cat food, and dog food have all seen success. Live prey such as waxworms, isopods, superworms, mealworms, and crickets are also big hits. It is said that a veggie-only diet will cause early death in but this is not confirmed. It is best practice to provide a variety of foods and to remember that these are opportunist insects. The author has found that her specimens enjoy Beetle Jelly, a prepared jello-like product that is often fed to pet beetles. The author has also found that each cricket has intense likes and dislikes for specific foods. Feeding can be mostly trial and error, further proving that a varied diet is best. A caution note is needed with cricket prey items. Both true crickets and Jerusalem crickets are vectors for parasites called horsehair worms. According to research, horsehair worms can survive being eaten. Caution must be taken if crickets are fed. Feeding from reliable, known colonies is the best practice. Horsehair worms cannot be treated without killing the host, as far as the author is aware. Many things eat Jerusalem crickets. They have been found in the droppings of owls, hawks, coyotes, foxes, bats, badgers, and skunks. Stenopelmatus is mainly an undescribed genus. This makes captive care a game of best guesses. 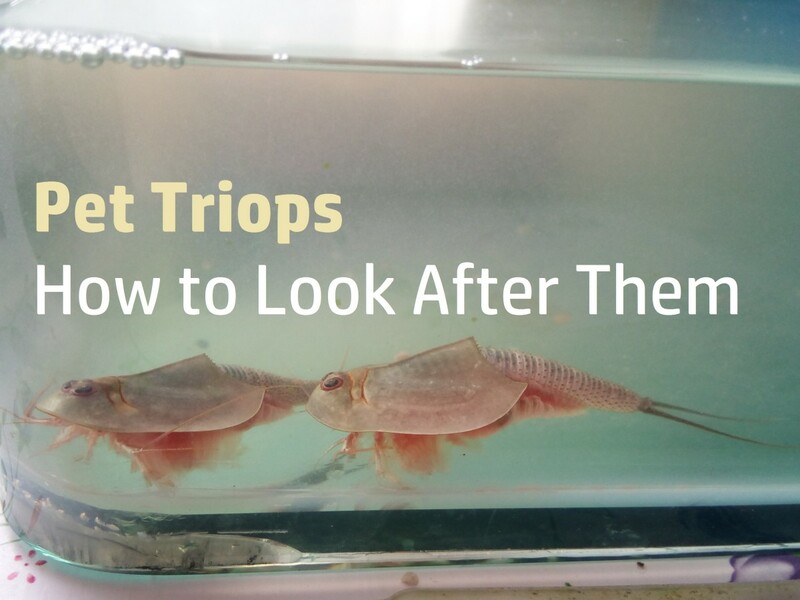 There are a few basic care tips that have worked for many keepers. If specimens are field collected instead of purchased online, it is easier to guess the correct setup. Field collected specimens should be kept in habitats that emulate their wild habitats. Some species live in niche habitats such as sand dunes or adobe cracks. If collected in these areas, replicating their natural environment is best. 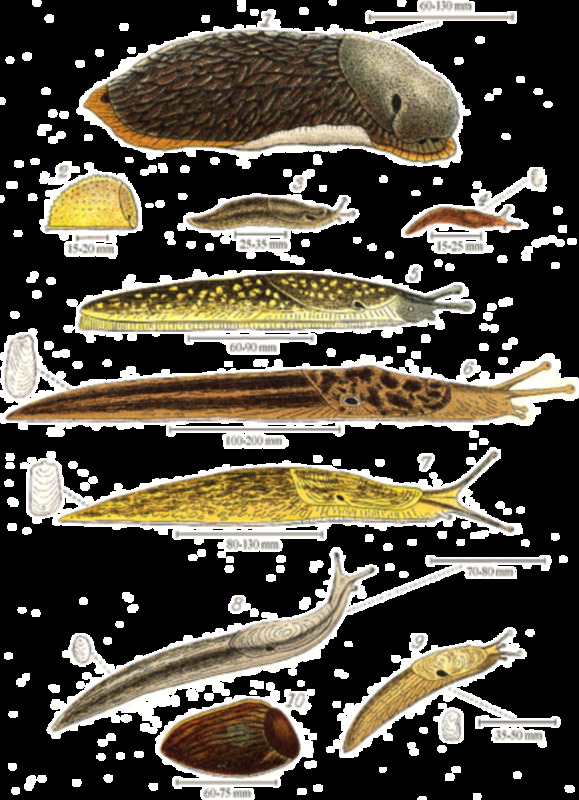 For other species or individuals of unknown origin, a loamy substrate is often the best to use. A mixture of 40% sand, 40% silt, and 20% clay is usually very suitable for most individuals. Many keepers use coco fiber or coco fiber mixed with sand as well. The substrate should be several inches deep to allow natural behavior. They may be kept in less than an inch of substrate for display purposes; however, this prohibits natural behavior such as burrowing. The substrate should be kept moist but not overly wet. The author often provides a 50-50% setup where half of the substrate is much moister than the other half to give each cricket a choice. Adding clean, dry leaves that are not toxic to insects is also a great choice. Some specimens may eat the leaves. Otherwise, crumbled leaves help with tunnel structure. 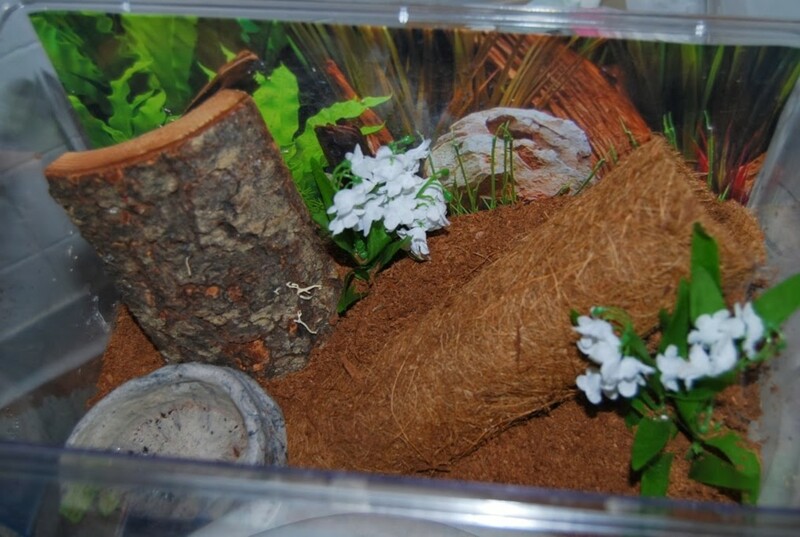 Rocks, wood, small PVC tubing, and small pots to serve as hides are also appreciated. Plants may or may not survive as roots are a part of this insect's diet. Small plants planted in pots with insecticide-free soil may survive the longest. There is no specific cage size required. The author, however, recommends a cage with a large footprint as these insects are very active at night. A 5-gallon fish tank (16" x 8" x 10") is a good size, though smaller and larger containers can be used. The author has successfully kept specimens in 6-quart clear containers though they are too small to provide room for decor. Larger cages allow for more interesting setups that may include driftwood and potted plants. It is often recommended that strong plastic or glass be used for cages. 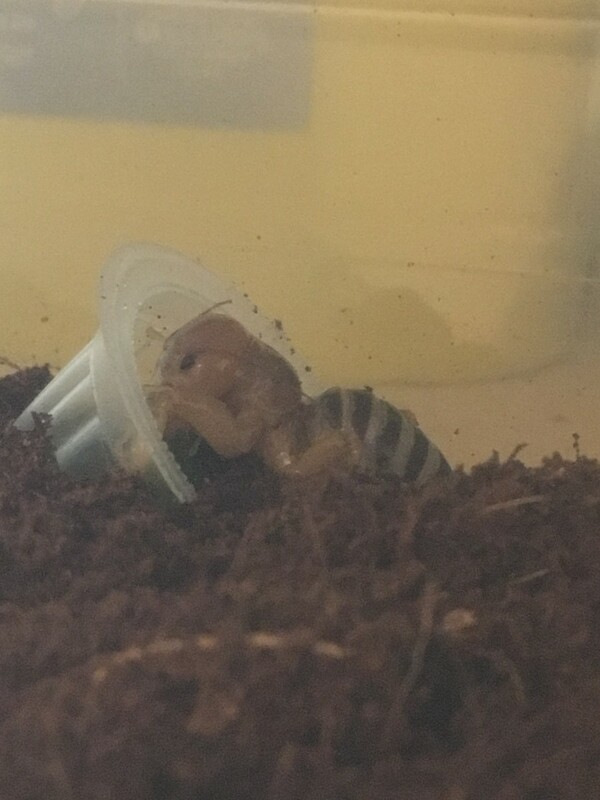 Some people have had success using deli cups that are common in the reptile keeping world. Some have had escapees. The same holds true for Critter Keepers. Looking for smooth sided cages that do not have edges is probably wisest. It is said that if a Jerusalem cricket can get its jaws around an edge, it will be able to chew its way out. Styrofoam, paper cups, mesh, and cloth cages are also not recommended. Any air holes must be out of reach. Allow three times the length of a specimen between the top of the substrate or decor and the top of the cage. They cannot climb walls unless there are footholds or it can reach up to the top, but they can pull themselves up if they can reach an edge or the top. Providing a water dish is optional. If feeding watery foods like fruits and veggies, additional water is not needed. If providing a water source, a wide shallow dish can be used. It should be wide enough for the cricket to get into and shallow enough that water doesn't go up past the middle of the legs. Cricket water or water crystals may also be used. Temperature and humidity don't seem especially important in most cases. A moist substrate should provide the needed humidity. Room temperature is generally adequate for these insects. In most cases, temperatures between 60-80 degrees F seem optimal. These insects should not be housed with other insects, including their own kind. They are very predatory and cannibalistic. The author has kept springtails with her specimens, though they have been eaten with frequency. Many people think these bugs are venomous or poisonous, but they aren't. They have no venom whatsoever. They also cannot sting. In general, it is safe to eat them. If eaten, one should watch out for the leg spines and jaws. 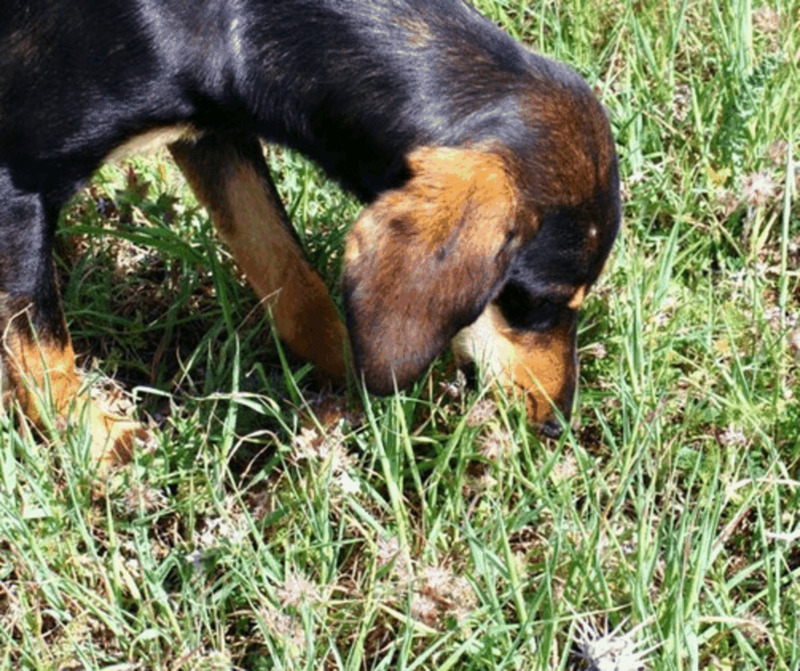 There is a potential for ingesting pesticides and horsehair worms. 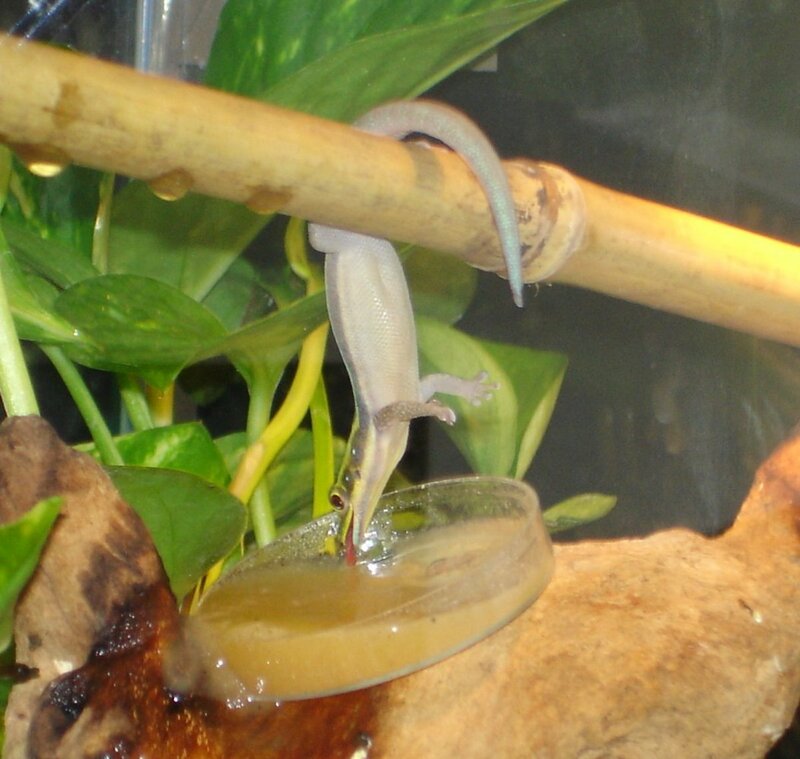 There have been many attempts to breed Stenopelmatus in captivity and few successes. Reported successes are usually the result of acquiring female specimens who are already mated before capture. Little is known about the breeding process of, and there is a lot of conflicting information. 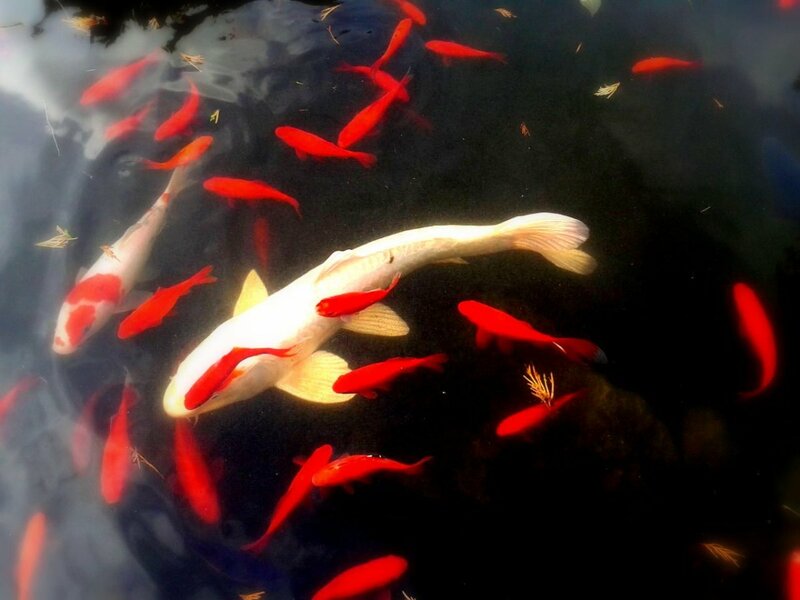 It is said that breeding occurs in the spring. Males and females drum their abdomens against the ground to communicate and find each other. When a male and female are within range of each other, the male will chase the female. Once he has captured her, they will wrestle as the male gets into position. He will deposit a sperm packet called a spermatophore into the female. It often protrudes from her, and she may kick it off in the days following mating. The female may or may not eat the male once mating is concluded. The male will often not fight the female as she eats him. Information gets a bit conflicted on what happens after mating. Some reports say females will dig a shallow hole in loose soil and lay all of her eggs in a nesting chamber six to ten inches below ground. Others say eggs will be scattered randomly in the soil. If a nesting chamber is used, some sources say a paper-like material is produced to line the walls and may be similar to silk-producing crickets or wasp nesting chambers. Eggs are white, rough-surfaced, and about 3mm in length. Some sources say it takes about 30 days for eggs to hatch. Other sources say it may take a year. Once the eggs have hatched, the nymphs emerge as miniature versions of adults. Coloration is often more simplistic without bands of black and yellow. Nymphs will go through up to eleven molts or instar phases. Nymphs molt on their backs and will eat the shed skin once done. It may take two years from egg to adult. Adult lifespan is debated. Some say adults live for 2-6 months. Others say they can live 2-3 years. Author note: I have read that keeping eggs at 74F or slightly cooler and in a moist substrate may be the key to getting eggs to hatch. It is usually easy to get them to mate and for the female to lay eggs but the eggs never hatch, or the few nymphs that do hatch do not thrive. Overall, these strange, little insects are fascinating to keep as pets and watch. Despite the lack of certainty in their breeding and classification, they are popular insects for keepers in the United States and are often lusted after in other parts of the world. They are very forgiving in care. 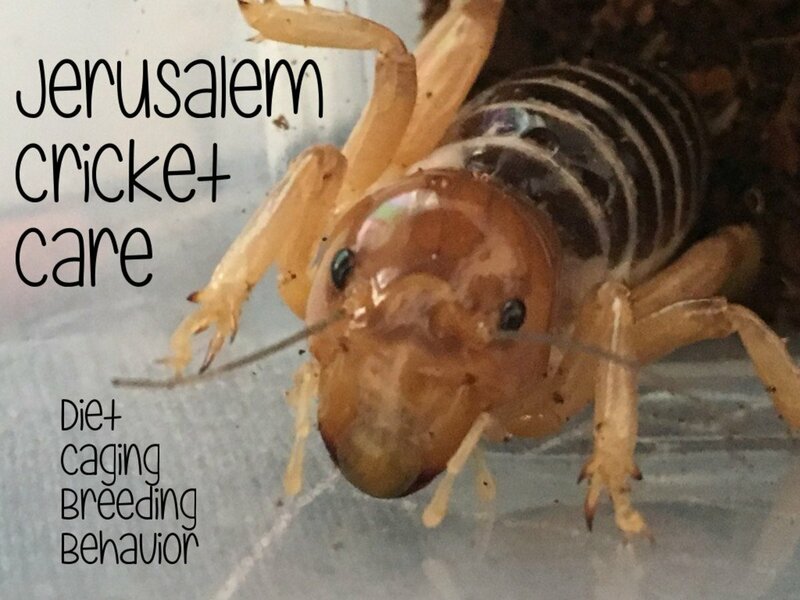 Jerusalem crickets need not be feared but enjoyed instead. What do you call these bugs?